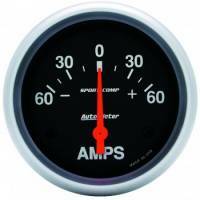 Ammeter Gauges measure Alternator performance and are typically for use only on alternators with maximum output of 60 Amps or less. 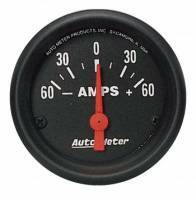 Higher Output Alternators Must Use Voltmeter. 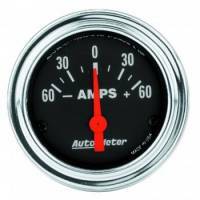 Auto Meter Traditional Chrome Electric Ampmeter Gauge - 2-1/16"
Auto Meter Z-Series Electric Ammeter Gauge - 2-1/16"